Mr. Getzoff maintains a varied practice. He specializes in product liability and complex tort matters as well as commercial, antitrust and securities litigation matters. Mr. Getzoff has also for many years practiced in the health, life and disability area. He regularly serves as national and regional coordinator for multi-state litigations on behalf of nationally known product manufacturers. 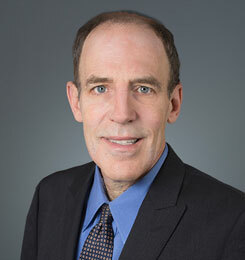 He also handles various toxic tort claims, and acts as one of the firm's managers for our asbestos practice. He has experience as well in municipal liability matters. "How to Reduce and Live with Sports Litigation: A Practical & Legal Analysis"
"Litigation Prevention and Survival If It Happens"
"Product Liability & Risk Management"
"How to Defend a Diving Injury: A Practical & Legal Analysis"
"Military Contractors and Failure to Warn Claims"
"Inspecting the Product: A Defendant's Perspective"
"Defense Considerations Regarding Product Authentications"
"Insurance Coverage for Civil RICO against Professionals: The Impact of Recent Developments"
"The Implication of 'Lampf' for RICO Litigation"
"Lopez and its Progeny: The Erosion of the Robinson Rule"
"The Shallow Dive: An Open and Obvious Danger"
"Determining What Services are Medically Necessary"
"Defending the Design Defect Case, Strategic Considerations"
"The Role of Patents in Design Defect Cases"
"Legal Maneuvers - Protecting & Defending Yourself in Product Liability Cases"